Located just outside of Bend right on the edge of the National Forest, Seventh Mountain Resort can be your winter and summer outdoor adventure destination in sunny Central Oregon. 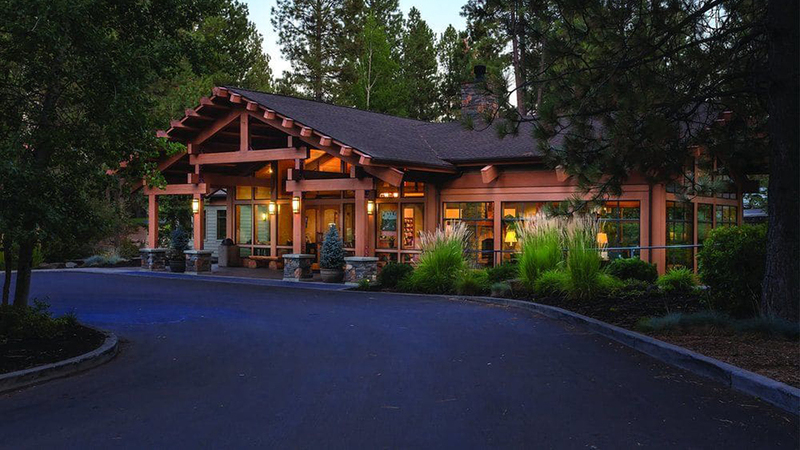 At the gateway to the Cascade Lakes Highway, the resort is the closest lodging to Mount Bachelor. For decades, Seventh Mountain has been premier location for recreational activities, from biking, hiking, and whitewater rafting in summer, to ice skating and skiing in the winter. The heated pools and hot tubs are open all year long, as are other outdoor options. A stay here will have you encircled by peaks, lakes, meadows, culture, adventure, breweries, festivals, family fun, shopping and more. The Resort has tennis courts, a mountain bike pump track, a disc golf course, horses for trail rides and more, scattered over their parklike property situated just above the Deschutes River. Whether you are there for golf, a family getaway or a destination wedding, their array of accommodations will allow you to find the perfect space for your solo adventure, romantic weekend away or family reunion.